Our first glimpse at components that could be destined for the much-rumored 5.8-inch “iPhone 8” and its 4.7 and 5.5-inch companion devices surfaced this morning in a post on reddit. 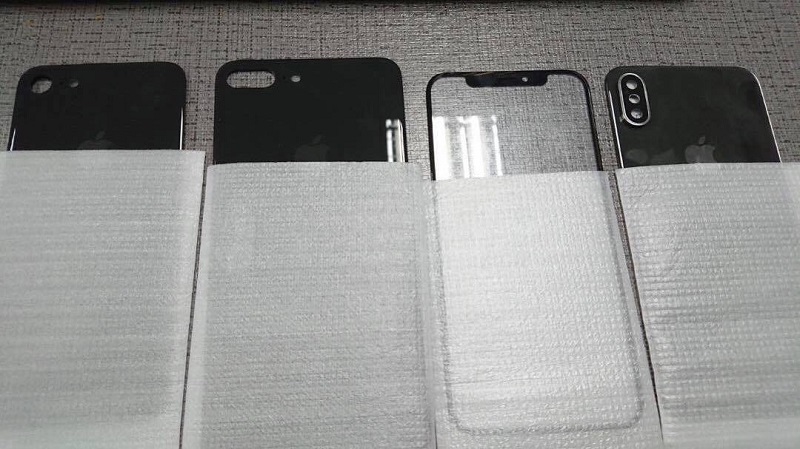 The images are said to be sourced from a case manufacturer who received them from a glass supplier in China. What makes the iPhone 8 so intriguing is that Apple won’t only be introducing a new design, but a completely unique design unrivaled by anything else on the market. According to a number of credible sources, not to mention a plethora of leaked schematics and product parts, the iPhone 8 will feature a completely edgeless 5.8-inch OLED display. In turn, there have been conflicting reports surrounding Apple’s plans for the Touch ID sensor. Though some leaks have suggested that the Touch ID sensor might be located on the back of the device, it now seems that those leaks were based on early iPhone 8 prototypes that Apple has since abandoned. That said, it’s now believed that the iPhone 8 will feature a Touch ID sensor embedded into the display itself. The leaker also adds that both the iPhone 7s and iPhone 7s Plus will include support for wireless charging. Notably, this is at odds with a previous rumor that made the rounds earlier this month. As far as a release date is concerned, some reports claimed that the iPhone 8 release was being pushed back to October or November due to some production challenges. More recently, though, reports indicate that the iPhone 8 Plus release remains on track for a September launch, albeit in small quantities. Put differently, it’s a safe bet that the iPhone 8 may be the hardest iPhone model to find in history, at least until Apple can significantly ramp up supply.